The transition from primary to secondary school is a big deal for any young person. Year 6 pupils are the oldest and ‘wisest’ in their primary school. They might have been together with classmates since Reception, growing up together, making friends, falling out, and making friends again. Each day, they’ve spent most of their time in a single classroom, with known and familiar routines. They know and understand how primary school works. Then, on the flip side of a long six week holiday, all that changes. They attend a new, much larger school. They are now the youngest pupils. Friends who have built strong, supportive relationships over many years are often separated as Year 6 pupils move to different secondary schools, a by-product of parental school choice whose negative impact is often ignored or underestimated. And every routine they’ve developed over years of schooling changes. They have to learn again how school works: where to go, new routines in new subjects, with new teachers, and with new expectations around organising themselves and their homework, timetables, and equipment. It’s a big deal, and it always was. What can parents and carers do to support their children in making the transition as smooth as possible? In this post, I’m going to share some ideas and thoughts. We hope that at least some of these ideas are helpful for you and your child. Please share your own ideas using the comment form at the bottom of the post, or by communicating with us @HeadStartFM on Twitter, FaceBook, or Instagram. We've collected a set of helpful resources for parents and carers on school transition on the HeadStart Support and Guidance site. Check them out, and bookmark the site for future use. It contains resources on a wide range of mental health and wellbeing topics for young people. 1. Get in tune with how they are feeling. Don’t dismiss their worries. Concerns about the logistics of secondary school - the “Where do I go? What happens if?” questions - might seem silly, but anxiety about seemingly small or insignificant details can build through the summer. Instead, get specific about what those worries are, look for practical solutions or information where appropriate, and work together on dealing with them over the summer. 2. Don’t forget to enjoy the summer! Build and strengthen family relationships through shared time together. Encourage them to engage with summer programmes and activities in your local area. Who knows, a new friendship struck up over a summer programme may turn out to be with a Year 7 student in the new secondary school? It can be difficult for young people to share their anxieties and worries, so create ‘natural’ opportunities for those conversations to happen, rather than forcing ‘let’s sit down and talk about why you’re worrying about secondary school’ conversations. 3. Friendships. If your child is starting a secondary school without many friends from primary school moving to that same school, they might be very anxious: how will they make new friends? Will they lose touch with their old friends? Be there for them, and be understanding. Even if they are moving up to secondary with lots of primary friends, they might be worried about not being in the same form or same classes. Reassure them that there are lots of other opportunities in the school day to maintain those friendships. 4. Linked to that, try to focus on the new opportunities that come along with the move to secondary school: new subjects, new friendships, new after-school opportunities, more independence. Encourage them to view secondary school as an exciting new journey. Spend time together looking over the information you have from the new school or the school prospectus or website, identifying interesting and fun activities that will be open to them. 5. Share your own experiences of starting secondary school (especially if they weren’t too negative!). It’s important that they realise that their worries are completely normal, and that even their friends who seem really confident and at ease with the move are actually anxious too. 6. Early in the summer, make sure you’re completely familiar with all of the basic information that you’ll have received from your child’s new school. It may sound obvious, but make sure you know exactly what date and time the new terms begins for Year 7. Sometimes secondary schools have a slightly different arrangement for the first day: Year 7 might go back a day earlier than other year groups, or have a later start time on the first day back. Make sure you know this! Be clear about what school uniform, PE kit, and equipment are required, and, if necessary, budget for how you’re going to afford to buy them, or reach out to friends and family for second hand uniform. 7. Make lists! Get the key information out of your brain, and onto paper. Stick it on the fridge or on the wall and tick off key steps as you go through them. Talk through these basics with your child, so they are familiar with what will be be happening. 8. If you’ve already got a school timetable for your child in Year 7, stick that on the fridge too ... but only once you've taken a photo of it in case it goes walkabout! Begin to work out the routines you’ll need once school begins. What day will PE kit be required? Is there any other specialist equipment that will be required? What day will it be needed? 9. Buy the school uniform, the stationery supplies, PE kit and so on well before the last few days. The last thing you want is a panic in the last week in which you can’t find the right pieces of uniform in the right size! Remember that being disorganised won’t just raise your anxiety levels, it will also cause anxiety for your child. This is the last thing they need. Don’t leave key jobs and preparation ‘hanging over you’ as the summer holidays draw to a close. 10. Work together with your child to work out basic details of travel / transport. If they are going to be taking a bus to school, check the timings carefully, and acquire the passes they need in good time. 11. If your child has special educational needs - especially if they have been assessed as being on the autistic spectrum, for example - the process of familiarising your child with the change that is to come is extra important. You’ll probably know from previous summer holidays with your child how tricky it can be to navigate the change from attending school every day to a more ‘freeform’ existence during the summer holidays … and then back again to school in September. Add to that a change of school as you move into Year 7, and the potential is there for lots of difficulties in the transition. Hopefully, you’ll already have had conversations with your child’s new school about easing the change, but being really organised, and avoiding panics about uniform, timetables or travel will really help. 12. In the last week of the holidays, start adjusting the timings of your child’s day to match the waking and sleep times they will have once the school term starts. It’s likely that during the holiday, they’ve been going to bed later and waking (much?) later in the mornings, but we want them to arrive on day one in their new school refreshed and ready for action! Bring bed times forward during that last week of the holidays, and don’t allow any morning ‘lie ins’ to stretch into the later morning. 13. If your child will be travelling to and from school on the bus, consider going on a practice run at the correct time in the morning to check that the timetables and any changes of bus actually work. If they’re going to be walking, make sure they are completely happy with the route. Have a practice walk with them, checking that they know which entrance they’ll be using into school, for example. If you’re going to drive and drop them off in the morning, work out the journey time … then add some ‘buffer’ time for working out your departure time on the first day … the traffic is likely to be much worse at 8:30am on September 4th than at 8:30am on August 28th. 14. Remember that the first few weeks in a new school can be really hard for a young person: they’re likely to be both emotionally and physically tired. Cut them a bit of slack, and support in monitoring timetables, equipment requirements, and any homework expectations, especially in those early weeks. You absolutely want them to move to being more independent and self-organised, but don’t expect this to happen overnight! 15. Keep speaking and listening to your child, and make time to sit and chat with them about how things are going in the new school. Show real interest, and try to ask specific questions about what’s happening, rather than ‘How was your day?’ … which might just get a ‘Fine’! Maybe talk about new subjects your child is studying: sciences or a new language perhaps, and share your own experiences? 16. Encourage new friendships, and talk about new friends your child has made. Remember, however, that it’s likely that friendships and groupings of pupils can be quite fleeting in the early weeks. That’s perfectly normal, but can be traumatic for a young person, especially if they think they’ve identified a friendship group, which then doesn’t work out. 17. If your child brings any specific worries or incidents to you, don’t be afraid to contact the school and make arrangements to go in to discuss issues with their form teacher, mentor, Head of Year or the pastoral leader. Letting issues fester or linger is likely to make them worse. School staff will want to help! If you do go into school, don’t be confrontational, just talk through the issues clearly, and discuss how the school, and you, can support. It’s tempting to assume that the move to secondary school for your child will be smooth. There are, after all, thousands of Year 6 students up and down the country who are about to become Year 7s, and most of them make that move without major issues. It is, however, important to realise that the transition from primary to secondary is a potential ‘trigger point’ for emotional wellbeing or mental health issues. 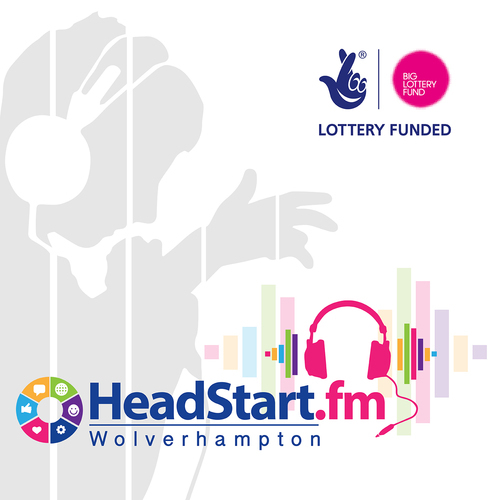 As part of HeadStart’s work in the city we’ve recorded podcasts with young people who have ended up leaving mainstream schools to be supported in pupil referral units or specialist support centres. They often identify the move to secondary school as a key moment when things ‘started to go wrong’. The transition to secondary is a huge change, and parents and carers need to make sure they don’t underestimate the impact that it can have. Be vigilant without being overbearing, and keep listening without being too judgemental. Be there for your child to talk to, and be prepared to speak to their new school if you have any concerns. You know your child, so if you see things going wrong, don’t wait before speaking to staff in school. They are there to help. We hope these tips have been helpful. Let us know using the comment form at the bottom of the post, or by dropping us a line on Twitter, FaceBook or Instagram.